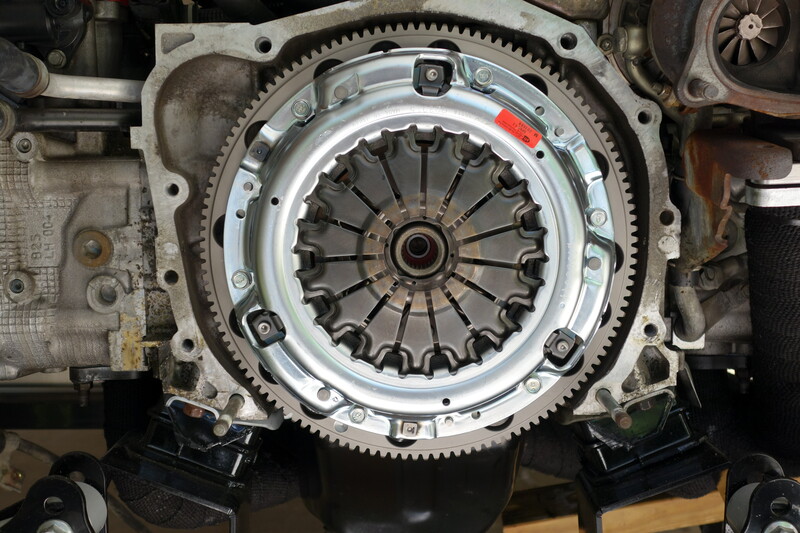 Previously, I mentioned that the clutch was installed with the flywheel, but it wasn’t actually attached…now it is! All bolted in and ready for the transmission. About that transmission…it’s sort of MIA at the moment, so we’ll let you know when we find it!